A three-day Intensive training for Confirmed International Systemic Coaches (English language). Preparation for ICF certifications: ACC, PCC and MCC. 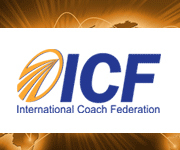 21 ICF-validated training hours. Supervisor: Alain Cardon MCC. Multi-level (simultaneous) systemic life-coaching/executive coaching/team coaching systemic supervision. Reserved for trained professional executive & life coaches. Participants: Managers and Coaches Trained in Systemic coaching (Fundamentals of Systemic Coaching or equivalent) PCC and MCC coaches (ICF coach Certification). Please note that supervision is excluesively focused on practical work implemented by participants and does not include the delivery of theoretical models.